Audio Recording in the Field. (kit reviews). So if you read my previous post you may have a good idea what is coming in this post…. Yep you got it! 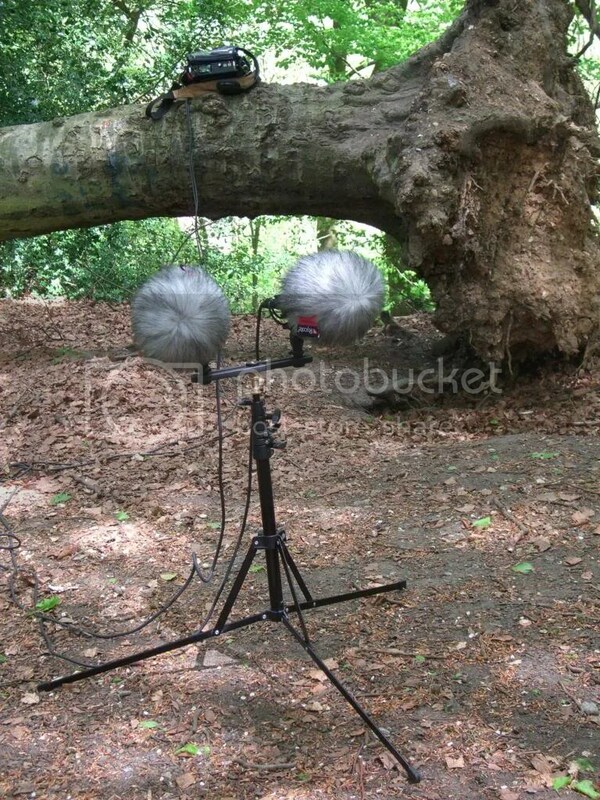 The Rode NTG-2 and Rode blimp with a binaural microphone, Audio Technica headphones and to follow is a contact mic from Jez Riley French. These are used by the legend of sound recording that is Chris Watson… The recorder I chose was the Tascam DR-680 and the Portabrace AR-DR680 bag. Here is a review of the kit I chose as my location rig. First up are the microphones etc.. I chose the Rode NTG-2 shotgun microphone which comes with a 10 year warranty! Can’t be any fairer than that. When you carefully cut the seals and slide off the top of the box you are greeted with a black pouch and under this are the warranty, manual, stickers and an advice sheet on how to correctly use the microphone stand clip supplied in the box. Opening the pouch reveals the mic itself, it instantly feels a quality product with it’s dark grey coating. On the top of the microphone is a gold dot which tells you the correct positioning. The rear end of the microphone unscrews to reveal the battery compartment where you can put an AA battery or you can power the microphone with phantom power at 48 volts. The Rode blimp is what I chose as it offers a full encasement of your microphone and can hold short shotgun mics. 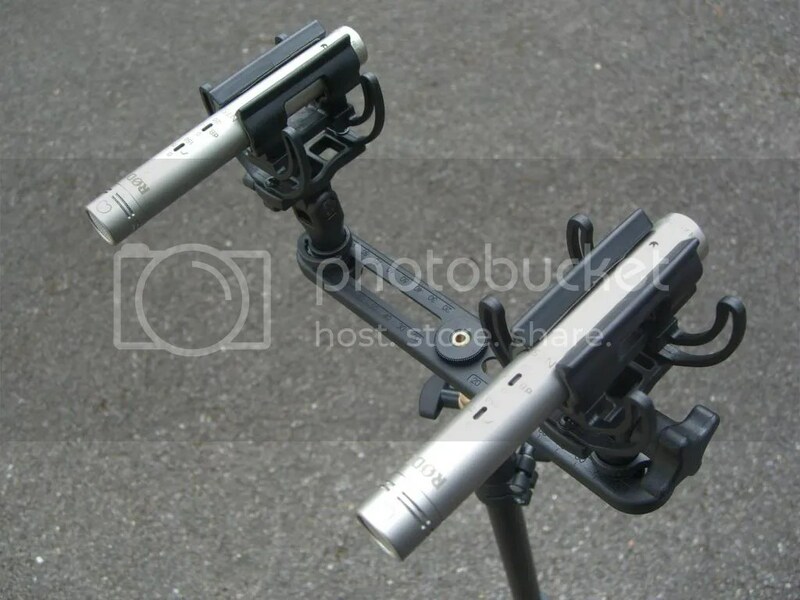 Rode offer three short shotgun mics are the: NTG-1, NTG-2 and the NTG-3. In the ends of the box you will find an Allen key for adjusting the internal support hoops, a brush for the dead wombat furry, a bag of different size mic clips and spare bungees. A manual and packing list is with the warranty sheet here too. Pulling out a piece of packing reveal the sizeable blimp in all it’s glory.. I have seen reviews from people expecting it to be smaller and not as big as it is, however they are missing the important reasons why this is. There also has to be room for the elastic bungees used in the shock mount which reduce handling noise, however caution is needed as it doesn’t stop all handling noise. They are: To create a bigger dead spot to stop wind hitting the mic and to allow the user to place other mic types within. 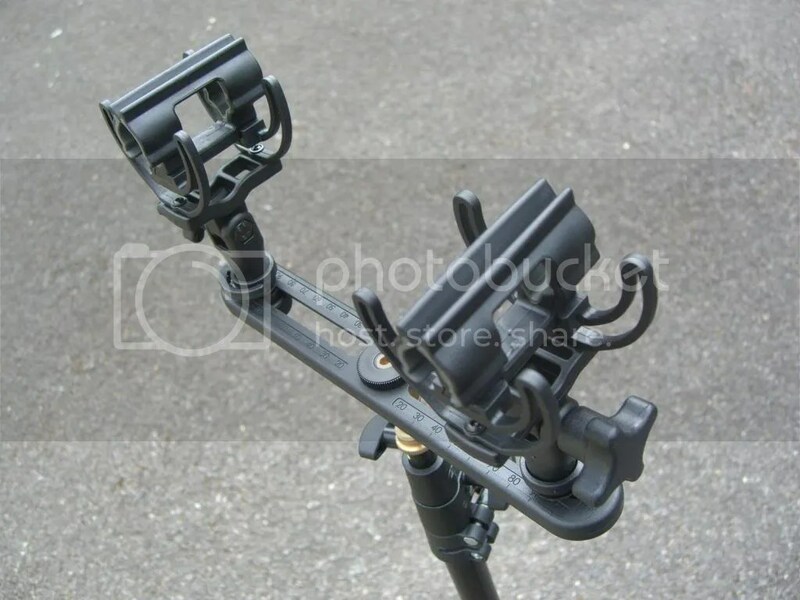 The tail cable exits the base of the grip which is fully enclosed and fits the hand superbly also in the base of the grip is the mounting thread for a pole, mic stand or camera tripod though I don’t find it heavy while hand held while in the field. I find the blimp an excellent companion to the NTG-2 mic and is a more professional and flexible windscreen over the half length furries. I had been looking into binaural mics too for the in the head sound experience as the stereo mics are mounted in the same or nearly the same position as our ears. Though nearly always sounds better on headphones than speakers. I couldn’t find a small and cost effective mic anywhere until I stumbled across one on EBay.co.uk by a small company called Micronic two small lavalier mic heads on a 2 metre cable.. Perfect! It cost £24.95 so pretty cheap really. However I thought the pre-amps would have been fine for this and chose not to order their own mic pre-amp which is an optional £14.95 I then found my inputs were mono and needed to be split again to two inputs on the Tascam DR-680 so off to Maplin I go… Now mounting the mics will either require a shop manakin head type thing or mounting them on a pair of headphones and that is what I did. With the furry windscreens on you will look like you have a major ear hair problem ! 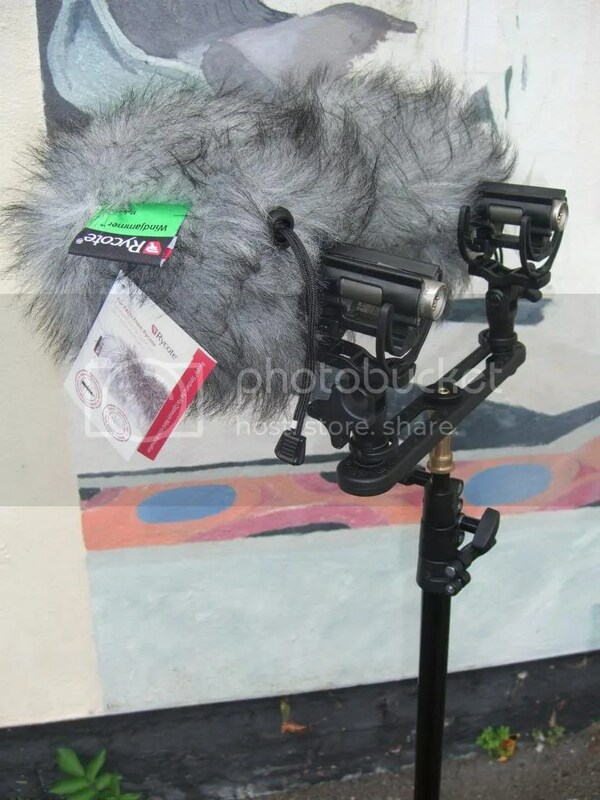 You may get some funny looks…..
JRF (Jez Riley French) makes contact mic and hydrophones by hand, these high quality mics can be bought at different price and quality levels. Basic model is £20.00 each and £40.00 for a stereo pair. These are 60ohm impedance and are easier to drive than my 250ohm Beyerdynamic DT770s. The AT headphones are very light with somewhat annoying swivelling ear cups. The ear cups just don’t grip the head firmly enough and they fall off my head easily, so I taped up the swivels and feel better though because of the lack of tightness they don’t isolate you from the sounds well enough. They also feel cheaply made for the £60.00 they cost. The cable is one sided and exits on the left to terminate at a 6.3mm jack with no option to use a smaller 3.5mm jack unless you buy a 6.3 to 3.5mm adapter yourself. I already find myself wanting to replace them with either Sennheiser or Beyerdynamic DT770 headphones which also come in 80ohm and for 2012 only a 32ohm version is available. Looking ahead I chose the Tascam DR-680 recorder which is a six input eight track device to allow for a stereo mix down internally. This device is made from plastic, but once in the bag you will hardly notice this. Four xlr/trs sockets with two further trs sockets are on the left side and spdif etc are on the right as is the card slot for the SD card. On the fron you have the headphone socket and headphone volume knob. Then you have the mono display which is backlit with a warm orangey glow also here you will find the pause and record buttons. Menu buttons take you through the different adjustments on the front panel while the top panel has the main menu button, a jog wheel and enter button, mic/line selectors, mic gain selectors, power switch, etc. Play, stop and back and forward buttons are also here. A speaker is to rear of the top panel. This device takes some bedding in and the pre-amps loosen off to become very quiet indeed. Best way to do this is to connect the included mains adaptor and leave the unit in Pause Record for a few hours. In the field the DR-680 is powered by 8 AA batteries so I would suggest a charger that can charge 8 batts at a time and try to get the highest Mah rating you can mine are 2900mah from 7day shop via Amazon.co.uk and I also have another two sets at 2000 and 2500mah from Maplin. These should give you more than enough time in the field. I also went for the Portabrace AR-DR680 bag which is superbly made, a choice for many pros in the broadcast industry for the build quality and functionality. Easy access to the front panel via a clear top flap which can be held back with the Velcro and zips allow access to the top panel. The side panels have Velcro envelope type sides that pull apart for connecting cables. The shoulder strap has a padded suede section and terminates in the best looking and made clips I have ever seen, somehow beautiful in their engineering and a sight to behold. I have had this equipment for almost 3 weeks and it has been a fantastic experience so far, though I would prefer a specific Li-on battery like Sound Devices use and not the AA batts, but not a deal killer..
Sound is all around us wherever we are unless we are in a sound isolation booth in a recording studio. Some sounds are at times annoying or harsh on our ears, but they can all have a place in a film production or video..
With the arrival of video being a standard part of The newer DSLR and websites like YouTube and Vimeo, more and more of us are posting videos online, but most fail to grasp how important sound is to your audience. A low res video is usually excused but poor sound is a real turn off. What ever you choose to do, it will make a big difference. Some microphones allow you to record from your perspective because microphones are mounted on headphones at the ear so they pic up sound as your own ears do. Binaural microphones are small and can bought online or you can make your own. Generally this technique works best when listened to on headphones. 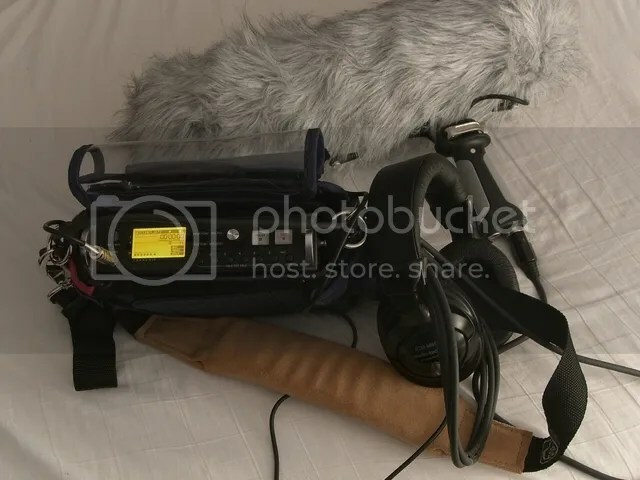 A shotgun microphone is very directional and is best at isolation the sounds around it and on location is usually mounted in a blimp (shock mount and wind protection) often covered with a faux fur while recording outside for extra wind protection as wind noise will ruin any recording made. 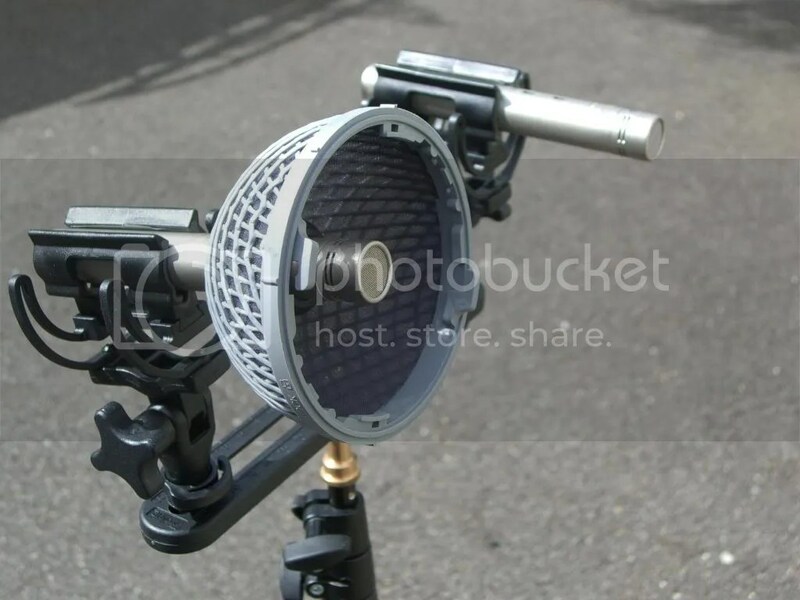 Pricing for a shotgun microphone ranges from around £120 to over £1000 plus the cost of the blimp different lengths will make a difference too, longer microphones have a narrowerboric up band and are more directional than short mics.. I would not recomend the really cheap microphones found on some online auction websites. Contact microphones record direct vibration as opposed to through the air, can be great for sound effects and unique recordings. Hydrophones are for recording animals and creatures under water. These can be purchased Online at a number of price points from around £40.00 to £2, 500. I will be holding audio workshops for photographers and those interested in video production so why not fast track your knowledge and learn from others. Get more out of your video making and give more to you audience, video is important part of business now and more customer and clients mean more revenue. In the next post I will be reviewing the Tascam DR-680 with the Rode NTG-2 and Rode Blimp with the Audio Technica ATH-M40FS headphones with an EBay purchased Binaural microphone.